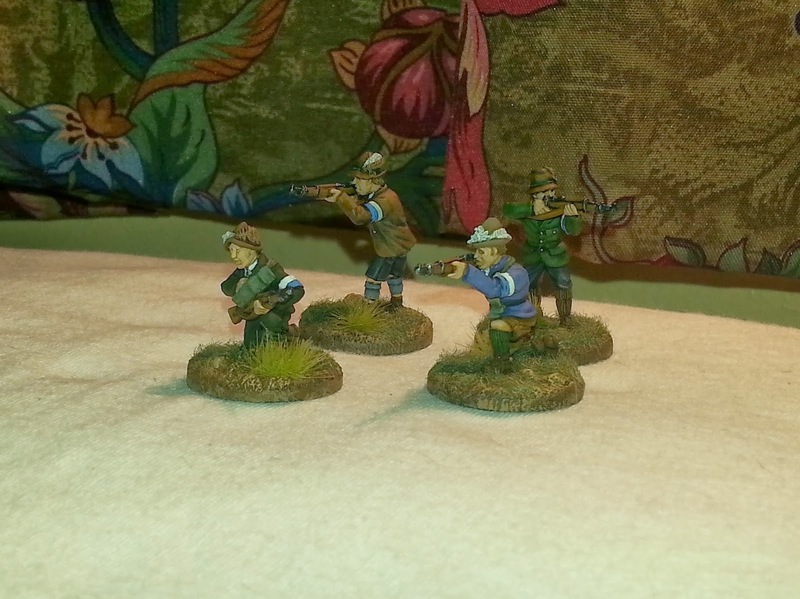 Well, I finally made some progress and painted up four of my Tsuba Miniatures, Freikorps Werdenfels. Oh, what a lousy year. Please, it's too painful to recount! The other good news is that I have the next four on my bench as I type. Personal pressure has been weighing on my hobby happiness levels as the Red Sailors new release will soon to be upon us and I need to justify the purchase (Not really, actually!). 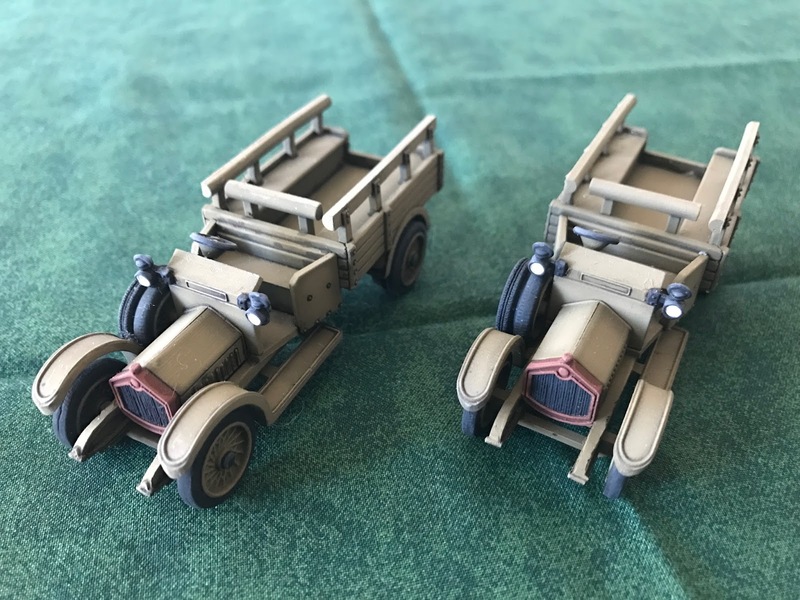 I hope Andrew Taylor doesn't mind me borrowing his general color schemes as I am one of the most unimaginative, OCD afflicted wargamers you will find. My OCD is also why I get such little done, sadly. Basing Pumice and all paint colors are Vallejo (Model Color, and Panzer Aces); bases are 2mm MDF from Pendraken Miniatures; grass is Gale Force Nine and The Army Painter. I am not completely satisfied with my finished basing, and will be applying a few scattered leaves from Secret Weapon Miniatures. Hmmmm, maybe even a highlight color to the grass? Please forgive me for the lousy photography. 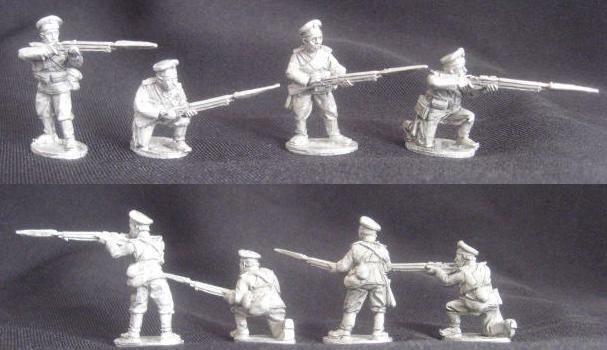 As typical with a digital phone camera, the figures look considerably better in the flesh. This a rather grand post card depicting members of Freikorps Werdenfels as they head off to liberate Munich in May of 1919 from the Bavarian communists. There are conflicting reports that the unit strength was anywhere from 250-500 members. 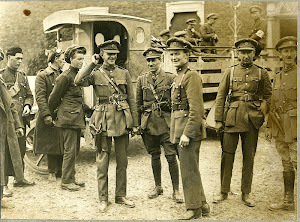 This photo is quite intersting in that it makes viewable 200+ men at one time, all in march column. Great for reference, and even better for inspiration! 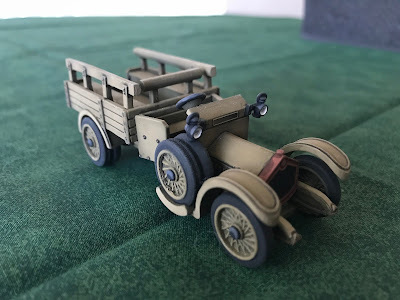 Having been directed to be shipped off to "The Land of the Morning Calm" [Republic of Korea] again, I decided that I would try harder at getting some hobby time in. Last trip over here, worked consumed me to the bone, and nothing was accomplished over the 12 month's time. 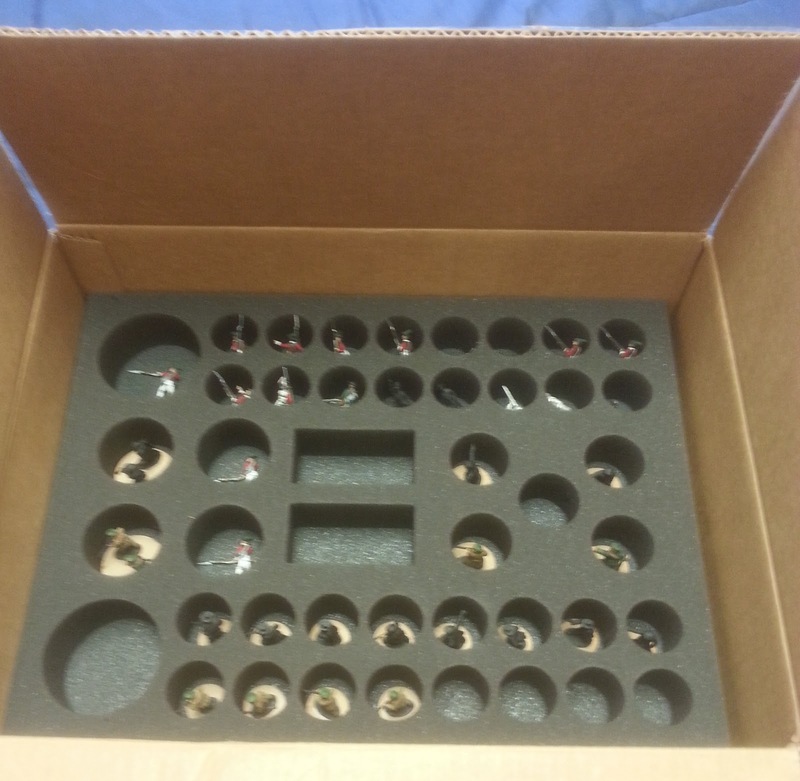 I new that I would need more foam to transport my miniatures, especially those that will be so time consumingly painted and ready to return to the good old U.S. of A. I decided to give Battlefoam a try. I had always heard the buzz, and figured there had to be something to it. They have excellent YouTube videos that describe their products and services for those who are unfamiliar with the company. 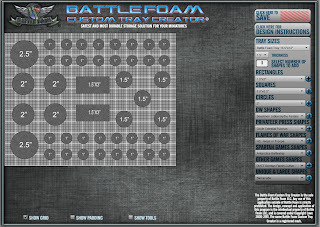 Battlefoam's website is easy easy to navigate and easy on the eyes too. While the background color is dark grey, their web designer wisely chose contrasts that are not disturbingly hideous. Besides, their product is dark grey, so why not use it as a color scheme for their marketing!﻿ Enough about the website and on to the product. 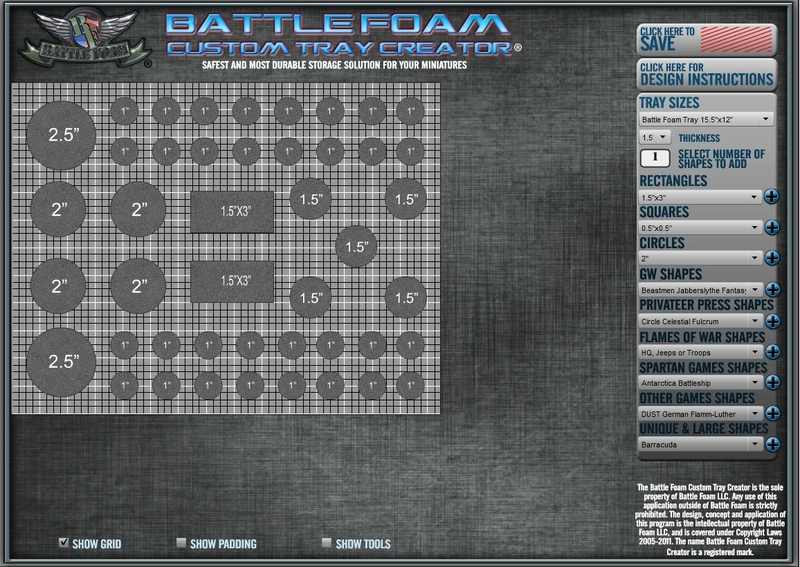 I used their Custom Tray Creator which was truly easy to get the hang of. 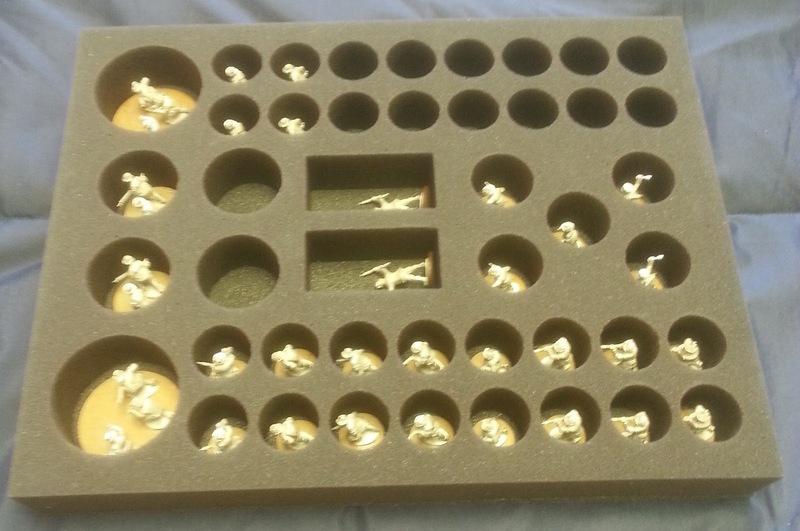 The only stumbling point was their lack of metric sizes to match my basing plans in their generic shape choices. This was handily solved by adding instructions into their order form which is built in just for circumstances such as mine. I simply chose a size that was close to my needs and then described how each shape was a representation for a corresponding metric one. e.g. "1in diameter circle represents 30mm diameter circle", etc. Having played around with the Creator for a few minutes, I quickly realized that I could put an entire, gameable force on each individual tray: one flag bearer, one miscellaneous item (or alternate flag bearer); two crew served weapons; four light weapons teams; five leaders; and 32 individual figures. That would build four 10 man squads, two heavy weapons for support, and one six-figure command element to run the whole show! I quite conveniently placed my order during the Christmas shopping season and their associated sale pricing. The sale prices were really nice, but they were not the clincher on me placing my order. The fact that one custom cut tray was less than the three Sabol Designs' pluck foam trays necessary for the same task was what did it. It is a lengthy process between order and arrival and the projected turn-around time on the website is accurate. When the product arrived, I was completely blown away. The quality of the foam and the care in manufacture was superb. I was the source of a number of laughs around the house as my family found it funny that anyone could be so happy over a piece of packing foam! I did experience one hiccup in my order as their designers accidentally cut the five leader cutouts the same diameter as the four light weapons teams. To this, I must add that the company has the finest customer service. They responded rapidly to my emails with concern and courtesy. The replacement products were rapidly made and then shipped with just as much speed. I cannot recommend their company highly enough. 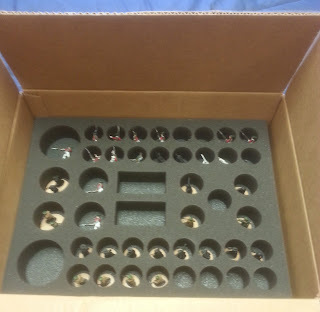 I am not a huge consumer of storage products as my lack of painting progress does not support anything substantial, but Battlefoam alone has all of my future business. For now, I need to put together a couple of orders to fill in those empty spaces! 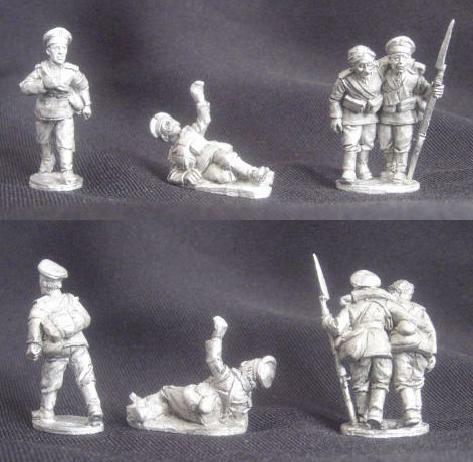 [Musketeer Miniatures' "IWI", and Tsuba Miniatures' "Freikorps Werdenfels"]. Having recently moved, SWMBO decided it was time to upgrade all of the household's video entertainment equipment. And since she must be obeyed by all means, who was I to argue! For my silent compliance, I ended up going from the Middle Ages to the 21st Century technology wise. Today, I took the equipment for a test drive by watching YouTube, in HD, on the big screen. This is a big shift from my usual fare of a 15" laptop computer. 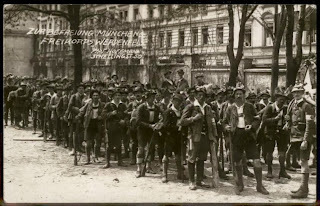 The video of choice, "Um das Menschenrecht"; a 1934 film with a storyline centered around the German Revolution. While the film was created with the backing of the NSDAP as propaganda for stoking nationalist emotions, it is by no means a mouthpiece for them. The film is one of my favorites, and well worth watching. The picture quality is so-so. It was digitally recorded from a VCR tape, which was first recorded from a television. This copy of a copy headache does not prohibit the viewer's ability to spot some really great details on the Freikorps uniforms, so be sure to look closely! 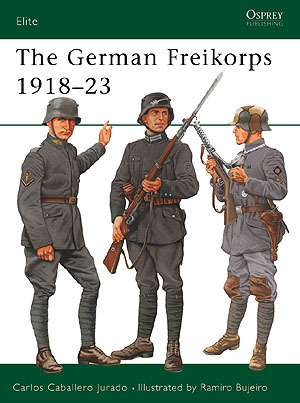 Tsuba Minaitures﻿ has a great new addition to their Freikorps Werdenfels product line. 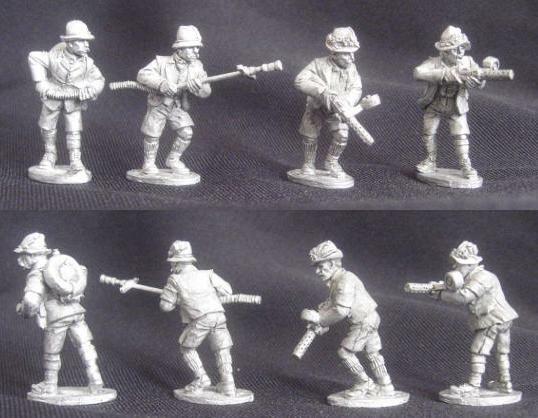 Packaged as FW-06 Assault Team, the code contains two different figures armed with a Bergman MP18 along with a Wex17 Flamethrower team. While Tsuba is the first to admit that the figures armed as they are, are not historically accurate, I cannot fault anyone for wishing to add them to their force. 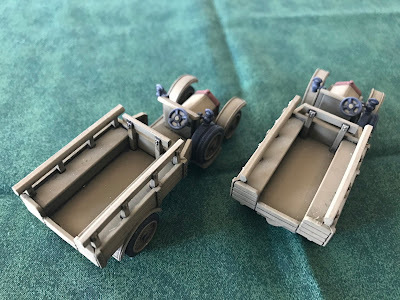 They are an easy and attractive way to spice up a gaming scenario. After all wargame scenarios are always a mixing of fact, what-ifs, and outright fiction no matter how much of a simulation your chosen rules may be. 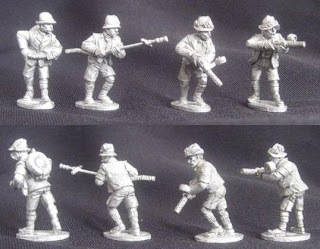 More warmly welcomed product codes are RJ-R06 Russian Troopers Firing II, and RJ-R07 Russian Casualties and Medical Orderly. Tsuba's Russo-Japanese War figures are purpose designed for the 1904-1905 conflict, but they are fine proxies for many armies in the Baltic and Eastern European regions from 1917-1923.